This right angled latching SATA cable features a (straight) female Serial ATA connector as well as a right-angled (female) SATA connector, providing a simple connection to a Serial ATA drive even if space near the drive's SATA port is limited. 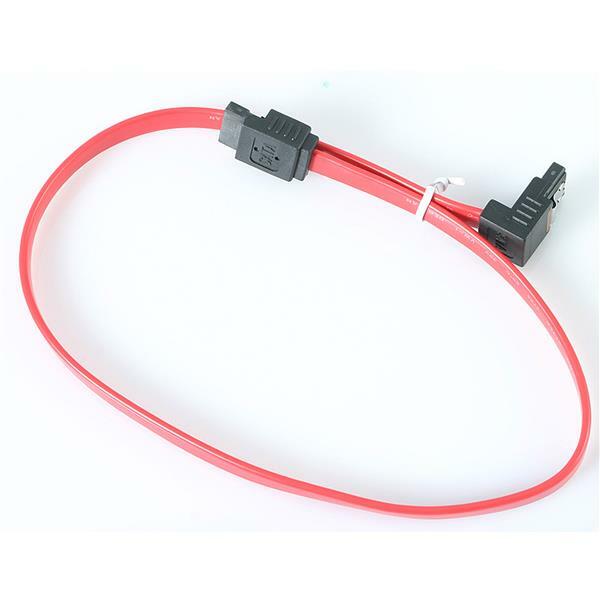 The cable offers latching connectors, which ensure secure connections for SATA hard drives and motherboards that support this feature. 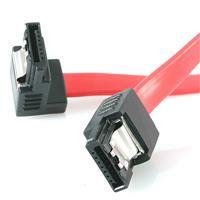 Once the right-angled SATA connector has been inserted into the drive's SATA data port, the shaft of the cable is seated flush with the rear panel of the drive, eliminating the clutter of excess cable at the connection point - an ideal solution for small or micro form factor computer cases. The right angled SATA cable features a thin, narrow construction that helps to improve airflow within the computer case; the cable features a rugged, yet flexible design that makes it easy to make the SATA connection as needed, and is backed by StarTech.com's Lifetime Warranty.